Signature Success Plan: Get hands-on guidance, comprehensive 24/7 support, and customized training that focuses on your business goals, so you see value quickly. Marketing Cloud Services: Partner with marketing and technology experts to create more impactful, cutting-edge customer experiences. 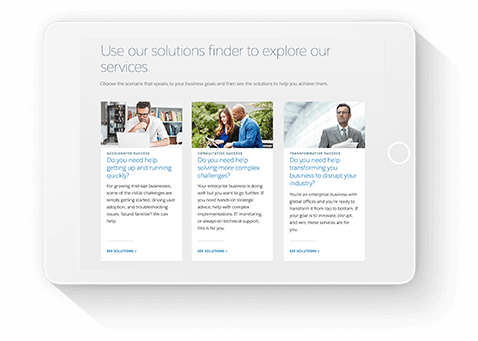 Advisory Services: Get ongoing strategic and technical advice from Salesforce experts. Find the right services for you.